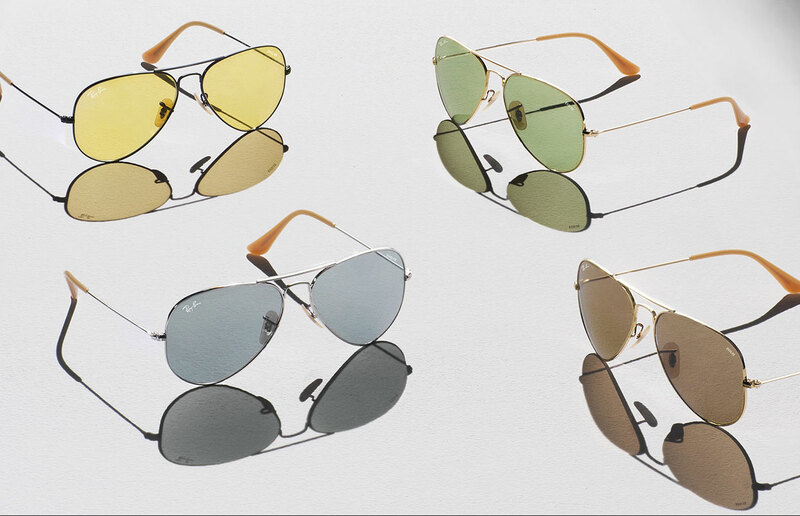 While Ray-Ban has become synonymous with its iconic silhouettes, such as the aviator and wayfarer designs, the company has given a makeover to some of its most recognisable frames and lenses, offering something that resembles the classics but offers a touch of modern flair. 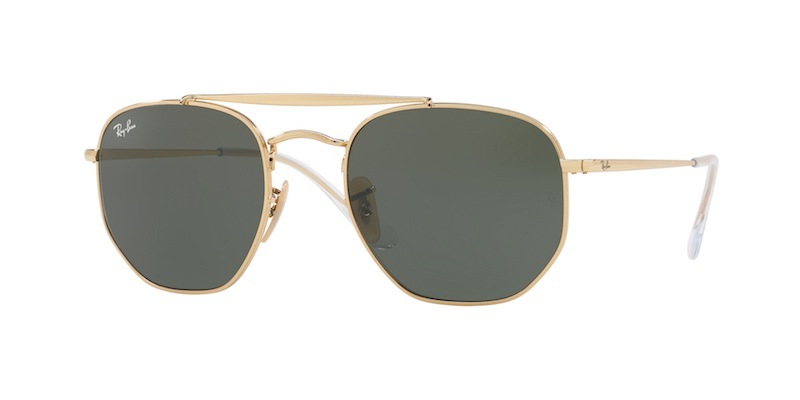 Originally evolved from the classic Aviators, the Marshal took a few liberties with the design, adding a bridge-bar across the top, but the company has reworked once again, adding a more angular shape to the bottom of the lens frame, rather than the smooth tear-drop shape the Aviators are known for. Gold metal frames with dark lenses are quite evergreen, though, so these will satisfy people with a healthy respect for tradition and something fresh. 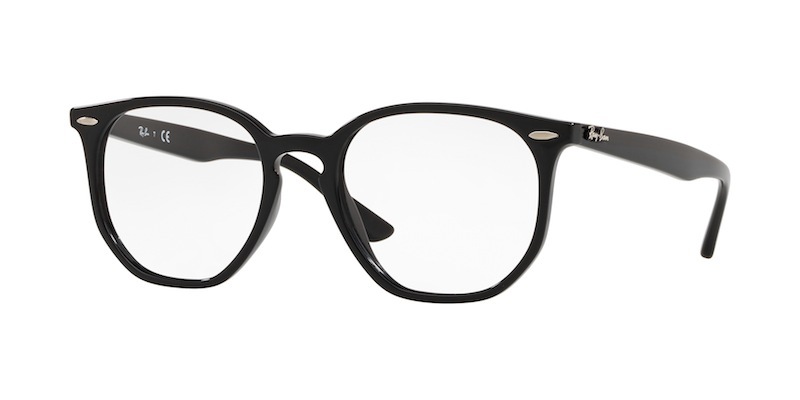 Ray-Ban’s most dynamic eyewear that suits just about everyone, the Wayfarer, has undergone a bit of a change too. The Hexagonal is a little more rounded than the conventional Wayfarer, but upon closer inspection, features some sharp diagonal angles on the frame to create the geometric shape. It’s rather unmistakably Wayfarer-inspired, though, because of its arms and the rivets and temple logos. 2017’s Blaze frame, whereby the whole, full-body lens sat in-front of the Ray-Ban’s frames, were a huge hit last year, and the brand has now combined the tried-and-tested Wayfarer frame with the Blaze lens style. 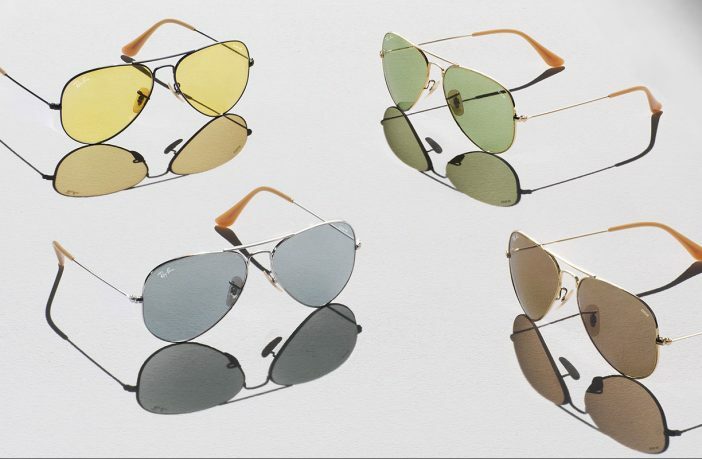 Arguably the world’s most-worn sunglasses have been reimagined too, with Ray-Ban adding photochromatic washed lenses that change colour depending on the light that enters the lenses. Pink lenses recall flamboyant 70s eyewear trends, so those who still want a little retro in their vision, will align with the Evolves. Itching for new sneakers? Shop a wide range of Ray-Ban sunglassess on PriceCheck.co.za! Want more fashion-related reads? Read all about the new Miley Cyrus for Converse Collection and Vans X Lazy Olaf collection.